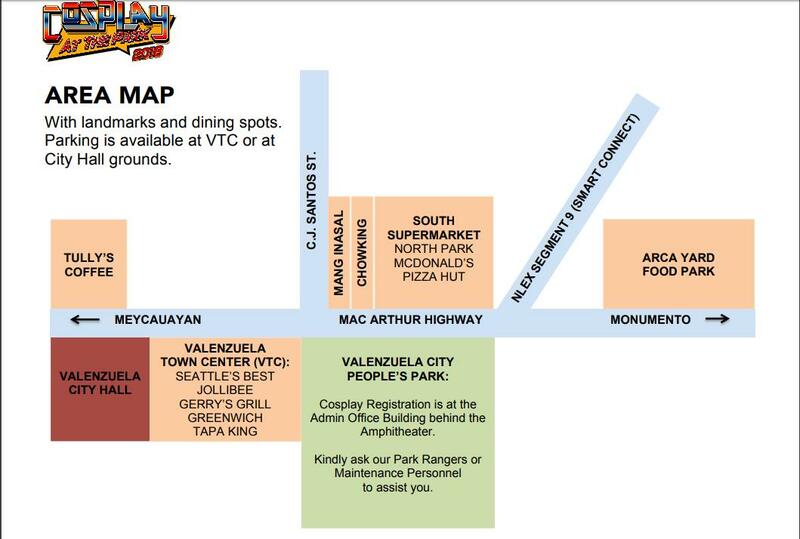 Valenzuela City Cosplay at the Park is here once again. The event will be on November 3 and 4, 2018 at the Valenzuela City People's Park Amphitheater. Get your costumes ready because it will be a lot bigger and better this time as VCPP turns into a superhero theme park with lots of fun activities for the entire family. 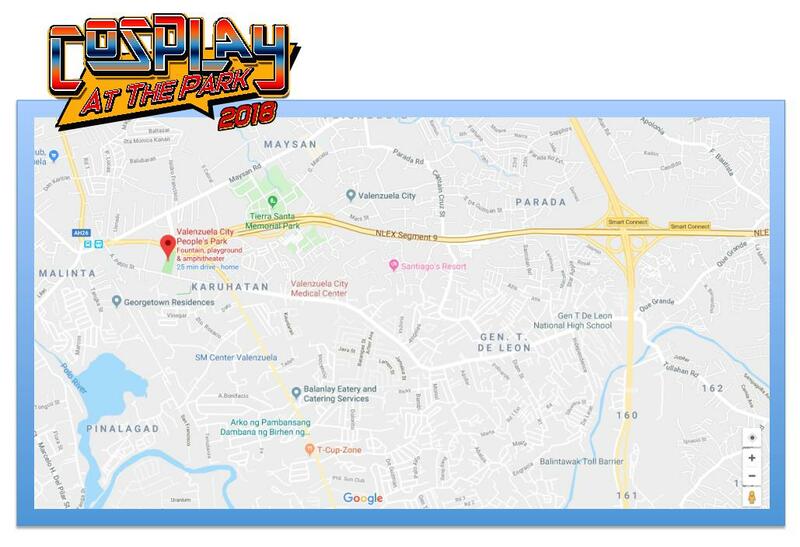 What to expect at COSPLAY AT THE PARK 2018? According to the posts watching the event will be more convenient as the organizers ensure that you won't have to line up anymore - well I think you still need to for some orderliness right? The park's Gazebo will also be turned into a character booth where you can have your photos taken with cosplay characters. There will also be life-sized character figures on display. Plus, besides the cosplay competition, there will also be an Art Contest and a Cosplay Photography Competition. Aside from those, you can also explore their first ever Hobby Market for avid collectors of toys, cosplay stuff, and great artwork. 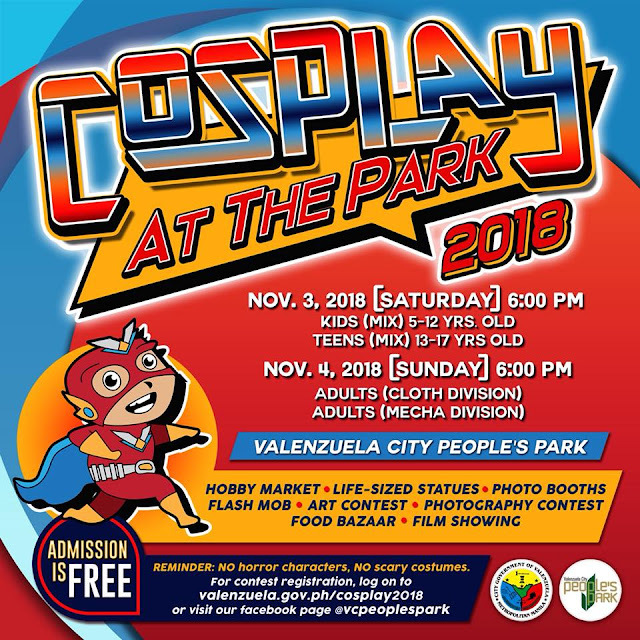 Cosplay at the Park will feature a 2-day cosplay competition. 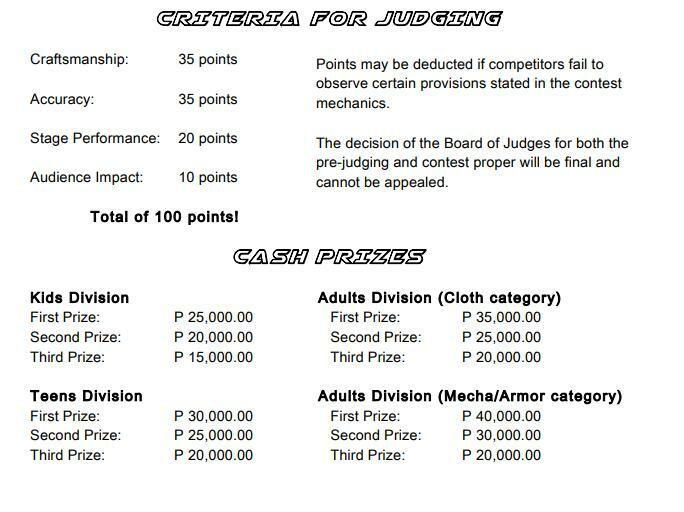 For more information, log on to http://www.valenzuela.gov.ph/cosplay2018 or connect via Facebook, Instagram, and Twitter: @vcpeoplespark.